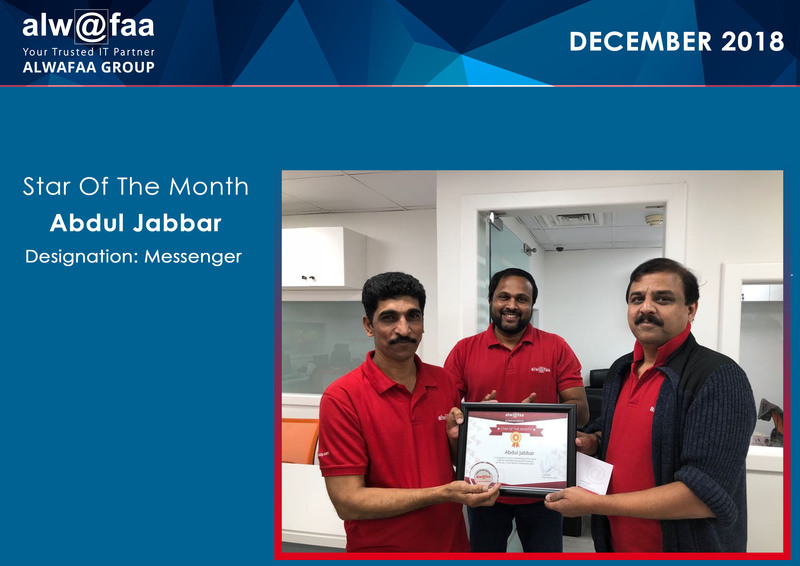 Alwafaa announces the star of the month “December” as Abdul Jabbar. He is the synonym of honesty and dedication. No matter how big a crowd, a person like him always stands out! There’s no one who has worked as hard as you have during the past years. As you continue to advance and reach your many goals. Here’s wishing you all the best and much more success.